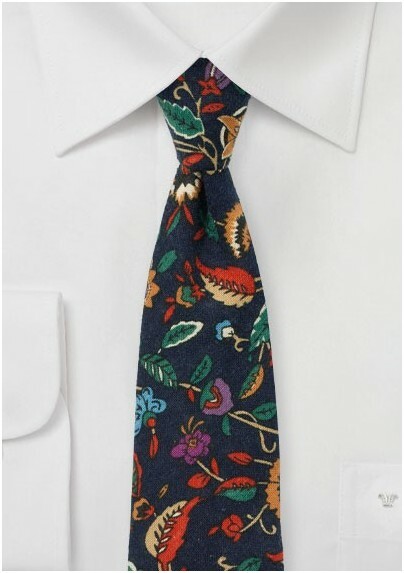 Looking for the perfect tie to add to your rustic wedding theme? 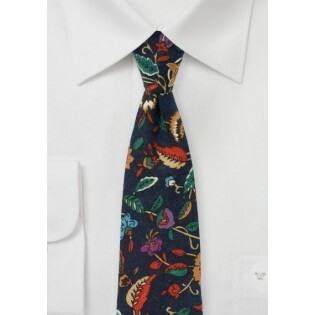 Then this vintage floral tie printed on flannel cotton is the perfect groom and groomsmen tie. While it does look nice with suits in navy, gray, or olive green, our stylist suggest a more rustic look of tweed vests or even leather suspenders. Handmade using fine flannel cotton and tailored in a modern slim cut of 2.75 inches.